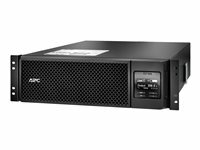 Smart UPS On Line provides high density, double conversion online power protection for servers, voice/data networks, medical labs, and light industrial applications. 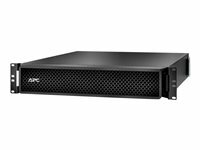 The Smart UPS On Line is capable of supporting loads from 1 kVA to 10 kVA in a rack/tower convertible chassis. The 6 kVA, 8 kVA, and 10 kVA models feature unity output power factor enabling them to support power hungry blade servers or heavily loaded equipment racks. 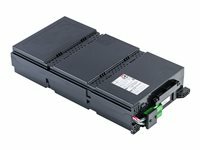 When business critical systems require runtime in hours, not minutes, Smart UPS On Line can be configured with multiple battery packs to meet aggressive runtime demands. The included PowerChute Network Shutdown management software provides unattended graceful shutdown of network operating systems. Models 5 kVA to 10 kVA include an integrated network management card for remote management. The entire Smart UPS On Line family helps to provide value to customers with demanding power conditions, including a very wide input voltage window, extremely tight output voltage regulation, frequency regulation, internal bypass, and input power factor correction. Best in class power density: More real power in watts, 0.82 to 0.9 pf on the 1, 1.5, 2.2 and 3 kVA models. 0.85 pf on 5 kVA and Unity on 6 kVA – 10 kVA units. High efficiency "Green Mode": Achieves 98% efficiency, which helps save utility and cooling costs without compromising performance or reliability. Graphical LCD display with multicolor backlight: Intuitive interface provides detailed and accurate information with ability to configure locally. Intelligent battery management: Temperature compensated charging extends life and advanced algorithms recommend replacement date. 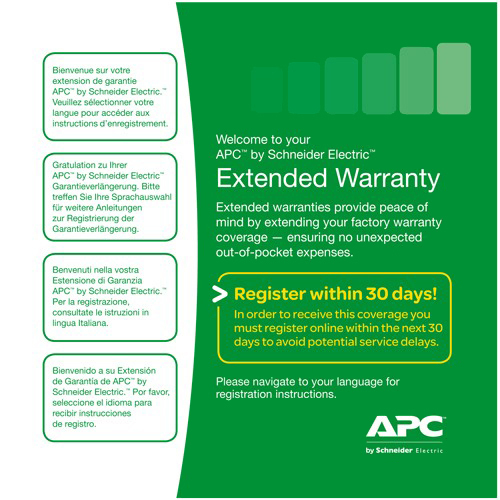 The UPS can inform the user which batteries need to be replaced and auto detect when additional battery packs are added. 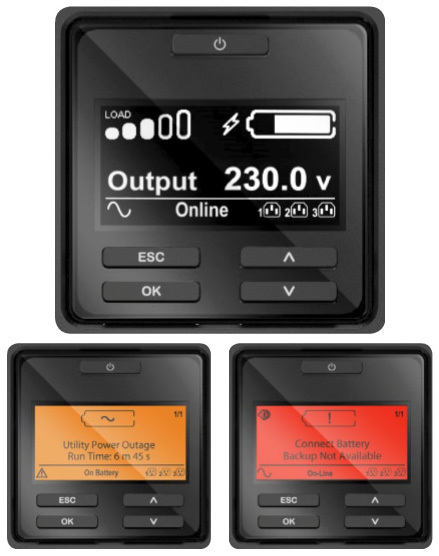 Built in energy meter: Measures energy use and displays UPS efficiency in various modes of operation for easy energy tracking. Operate without battery: Ability to immediately protect equipment when power returns after a complete discharge of the battery. 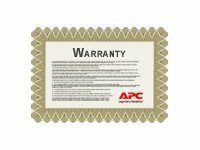 Three year warranty on electronics: Additional year of warranty protection for electronics provides peace of mind. Embedded network management card with environmental monitoring (5 kVA – 10 kVA models): Remote monitoring and control of the UPS and the environment via Ethernet connection while freeing up the SmartSlot so customers can add accessories for additional communication options. Switched outlet group(s): Ability to control a group of output load receptacles independent from the main UPS. Emergency power off (EPO): Remote UPS shutoff in the event of an emergency. The UPS can accept normally open (NO) or normally closed (NC) contacts. Communication ports: Serial, USB, Ethernet, and SmartSlot for network accessory cards. Communication protocols: Modbus Serial, USB PowerSummary, HTTP, SNMP, and Telnet. 1:1, 3:1 input hard-wire options: Product can be wired for 3-PH or 1-PH input (230 V, 8 kVA, and 10 kVA models only). 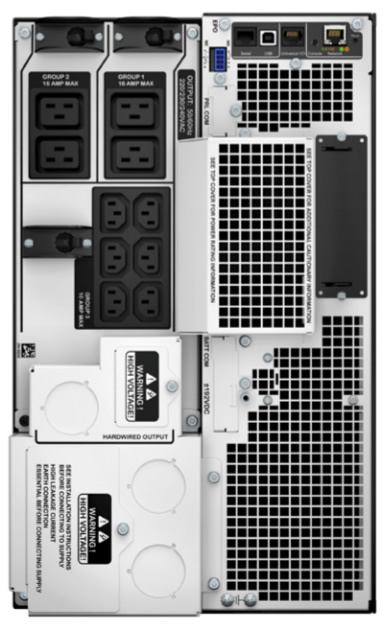 Dual input: Enables second input source to be connected to UPS bypass (230 V, 8 kVA, and 10 kVA models only).